Opinion The search to extend lifespan is gaining ground, but can we truly reverse the biology of ageing? A potential anti-ageing drug is likely to be more effective at maintaining health than extending lifespan, writes Lindsay Wu. OPINION: It was once a fringe topic for scientists and a pseudo-religious dream for others. But research into the biology of ageing, and consequently extending the lifespan of humans and animals, has become a serious endeavour. The idea of extending human life makes some uneasy, as preventing death seems unnatural. Certainly, were lifespan to be drastically increased, there would be challenges in funding the old age pension, among other issues. But this is already happening. Drugs and interventions developed over the past century that have almost doubled human lifespan could be considered as anti-ageing. Think of antibiotics, which have added anywhere between two and ten years to human life expectancy. There is no debate that they are an essential part of modern medicine. But when we talk about an anti-ageing pill, we mean one that targets the process of ageing itself. There is already a list of such drugs shown to extend the lives of lab animals. Many of these work through mimicking the effects of a near starvation diet. The willpower required to maintain a near starvation diet for an entire lifetime is beyond most. But regular, short term calorie restriction (such as the “5:2” diet of eating normally for five days and reducing calorie intake for two) has strong benefits for metabolic health, which helps control obesity and diabetes. Animal studies show a reliable extension in lifespan during intermittent fasting. Other studies have shown genetically altering the body’s ability to respond to insulin, which is released when we eat a meal, doubles lifespan in worms. A similar experiment in mice revealed a less dramatic, but a still significant, increase in lifespan of 18%. Drugs such as the now infamous compound resveratrol, present in red wine, can activate one member of the sirtuins, called SIRT1, to extend lifespan in mice and slow markers of ageing. The SIRT1 enzyme requires a fuel for its activity, called NAD+, the levels of which decline with old age. Given the importance of NAD+ to SIRT1, the idea of raising NAD+ levels has attracted attention. But NAD+ is used by other cell processes that could be involved in ageing. For example, Dr. Jun Li recently showed NAD+ levels are essential to turning on DNA repair machinery, which wanes as we age. These findings could also be used to reduce DNA damage caused by radiation exposure – such as in childhood cancer survivors – and cosmic radiation encountered by astronauts in outer space. Translated to human diets, this would be the exact opposite of the “paleo” diet, a high protein diet which emphasises meat and unprocessed vegetables over grains. The concept behind this diet is to mimic that of early paleolithic humans living a hunter-gatherer existence. It is worth noting, however, that paleolithic humans are thought to have had a lifespan of only 33 years. 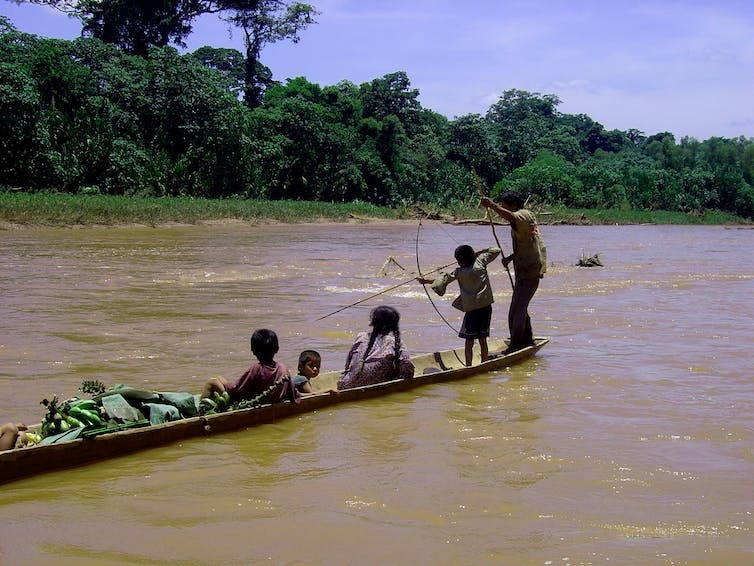 The one population with the lowest recorded levels of heart disease in the world are the Tsimane, a tribal group leading a gatherer-horticulturalist existence in the Bolivian Amazon. This group has a high carbohydrate and low protein diet. Rapamycin is used in the clinic to suppress the immune system during organ transplants. It extends life in a number of animal species such as worms, fruit flies, and mice, even when delivered briefly in middle age, or late in life. The downside, of course, is that one must live with a suppressed immune system, which is a bit of a drag if you’re not living in a sterile lab environment. Another anti-ageing strategy is one called “senolysis”: that is, killing off old and damaged or “senescent” cells. These cells take up space, grow larger, and release substances that cause inflammation. When mice are genetically engineered so that it is possible to kill off senescent cells, health is drastically improved and animals live 20 to 30% longer. The hunt is now on for “senolytic” drugs, which can selectively kill off senescent cells. One company, Unity Biotech, recently raised US$116 million to achieve this. There is strong evidence that ageing is literally part of our DNA. So-called “jumping genes” are DNA parasites, caused by ancient viral infections in our evolutionary ancestors, and they make up almost half of our genetic material. These genes can actually “cut and paste” themselves so that they jump around to a different part of our DNA, and in doing so make our genomes less stable. These genes are normally turned off by another sirtuin enzyme called SIRT6, and animals genetically engineered to have an extra copy of this gene live longer and in better health. Our DNA changes as we get older. For example, structures that cap the ends of our chromosomes (which carry our genes) called telomeres shorten with old age or stress. Lengthening telomeres has been suggested as a way to restore youth. The trouble is the gene that does this, called telomerase, is normally only turned on in adults who have cancer. Genetically engineered animals that over-produce telomerase from birth develop cancer. But to add confusion, using genetically engineered viruses to force old mice to make more telomerase results in a longer lifespan with improved late-life health, without an increased risk of cancer. Another drastic way to reverse ageing might be to turn adult cells back into youthful stem cells, which is possible by turning on so-called “Yamanaka factors”. These work through turning certain genes “on” or “off”. The problem is that turning “Yamanaka factors” on too much again causes cancer. Instead, turning these genes on briefly appears to reverse ageing and extend lifespan in short-lived mice. This could be a powerful but risky strategy for reversing ageing. In the end, the first ever anti-ageing drug likely to reach the market will be one we’re already familiar with: metformin. It’s used to treat diabetes, has been around since the 1950s and is used by tens of millions of people. The effect of metformin on health and lifespan in older, non-diabetic individuals is currently the subject of the TAME trial in New York. If successful, this trial may lead to the first ever “gero-protective” or “anti-ageing” pill, which would be taken as a widely-used prophylactic by the older population. The TAME trial is being watched keenly by the drug industry. Ageing is not yet recognised as an actual disease by regulatory authorities, which makes potential therapies that treat ageing less commercially viable. Any such drug will instead be targeted towards specific diseases of ageing, for example, arthritis or type 2 diabetes. Regardless of whether any of the drugs above are eventually shown to be safe and effective in humans, the current advice for maintaining health in old age is predictable but effective. Exercise, a varied and moderate diet, maintaining social contact, and avoiding stress have profound health benefits, beyond anything that will ever be available in a pill. For anyone wishing to hear more about this research, the Australian Biology of Ageing Conference on 27-28 April 2017 will feature a public lecture. Lindsay Wu, NHMRC Senior Lecturer, School of Medical Sciences, UNSW. Research Check: can eating aged cheese help you age well?